Aims & Scope: The journal provides a forum for experience exchange to all those involved in teaching mathematics in higher education. Mathematics is the universal language of science. It underlies numerous methods used in various disciplines of scientific study. 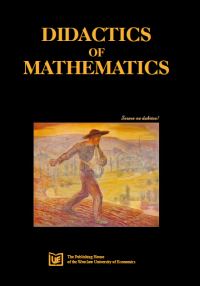 Our journal is intended to present views and thoughts on teaching mathematics and subjects that use quantitative methods to students of different academic disciplines. We collect both articles that present original education concepts as well as reviews and reports of conferences and meetings dealing with teaching mathematics and quantitative subjects. Frequency of appearance: The journal is organized into yearly volumes. Articles will appear throughout the year, as they are ready for publication. There are no articles in this issue yet.